Our lunches menus are run on a 3 week cycle. School Dinners cost £2.05 per day (£10.25 per week). The children in Reception all receive free school meals. All school dinner money is now paid via Parent Pay. If you have any questions regarding Parent Pay please contact the school office. To apply for free school meals online, please click this link. Food and eating together can be a wonderful source of learning for children, and at school we aim to make our lunch time a positive experience. Are the foods familiar and portions the correct size? 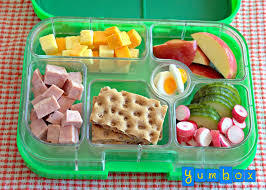 Please put familiar foods prepared in their usual way in the packed lunch. School lunch times are not a good time to introduce new foods to your child as it may be upsetting if they are hungry and don’t like the food they have been given. Please put in the amount of food you would normally expect your child to eat. For health and safety reasons, please do NOT put hot liquids such as soup, hot chocolate etc in your child’s lunch box. Please do NOT put nuts in your child’s lunch box. We have children at the school who have nut allergies and nuts are a choking hazard for children under the age of 5 years. Thank you for your co-operation. Ideas: salad in sandwiches and rolls, cherry tomatoes, apples, pears, satsumas, bananas, grapes, melon, kiwi, plums,nectarines, dried fruit, dish of fruit salad, fruit smoothies and fruit juices.